This story reminded me of a dream I had one night. I was visiting Italy, a remote part of the country that still had many ancient buildings. As I walked through the streets, I came to a canal where there were traditional boats. I got in one of the boats and began to row down the canal. 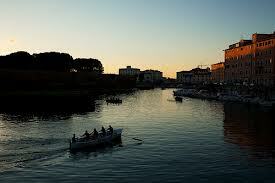 As I traveled, the boat began to rise and fly through the air, up above the cobbled streets, through the stars. This was, no doubt, influenced by my trip to Venice. In Egyptian mythology, Ra traveled across the sky and the underworld (Duat) following the sun in two solar boats, Mandjet (morning boat) and Mesektet (evening boat). There’s also a Russian fairy tale (ferry tale?) called The Fool of the World and the Flying Ship. Click here to read a synopsis of the tale. The Trobianders of the south Pacific talk of a flying canoe which is central to their mythology. And of course, there are the star ships of science fiction, including the famous Starship Enterprise. 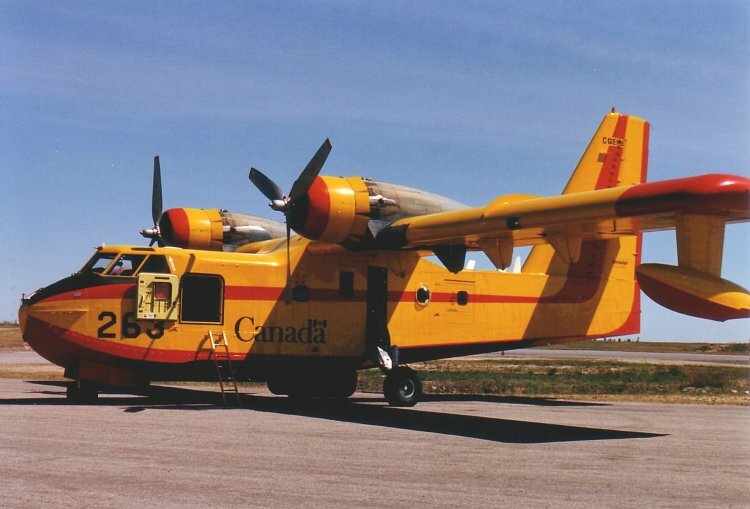 This is a Canadair CL-215, photo from the Wikipedia site on Flying Boats. It differs from a sea plane in that it has a “purpose-designed fuselage” that gives it buoyancy. I live, surrounded by forests, which means in summer, forest fires. These boats have the power to land on water, scoop up a load of water and take off again to dump it on a fire. This summer, fires have been intense. People have been evacuated from their homes. One evening, smoke came through our screened doors and windows so thick that my throat burned. I’m always amazed at the courage of the fire fighters, especially the Rapattack teams that repel from aircraft into the burn sites. Unlike city fire fighters, forest fires are a lot harder to contain and there are no fire trucks or hoses to support their efforts. Just them, their equipment and the occasional dump of water from the flying boats. My gratitude to the fighters who guard our homes here in the mountains. If you look at my page In the Studio, you will see I am working with paper at the moment. There are so many artists using the same medium. I just came across Amy Eisenfeld Genser’s work on My Modern Met. I like the colours she chooses. Another artist working in paper whom I recently learned about is Anna Berry in the UK. I particularly like her kinetic installation Breathing Room. 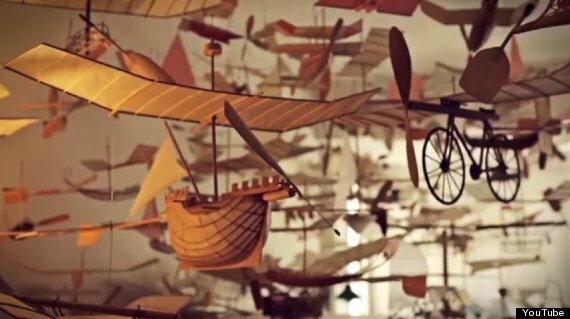 Japanese artist Katsumi Hayakawa has produced a stunning architectural paper city. Very inspiring. I began my process of working with paper following my mother’s death. Today marks the one year anniversary of her passage. The shredded paper that I’m using for this project comes from sorting through both her papers and my own. I appreciate having an art practice at times like this. Often my work is conceptually-based but at other times, like with this work, art has power to heal and transform. 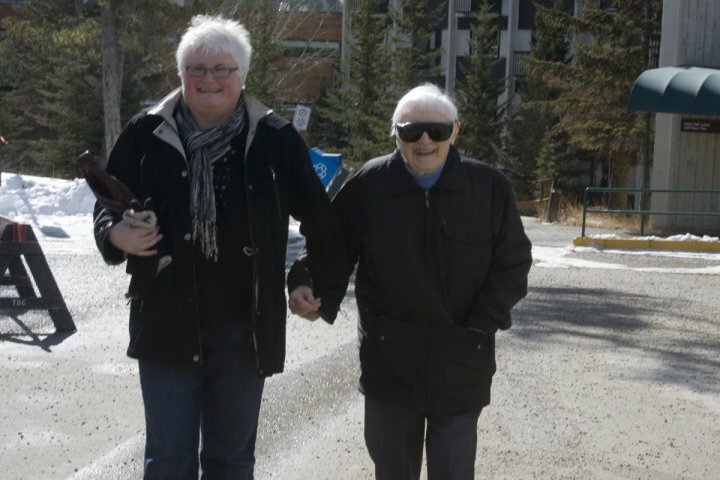 Here’s to my mum, you will always walk with me. 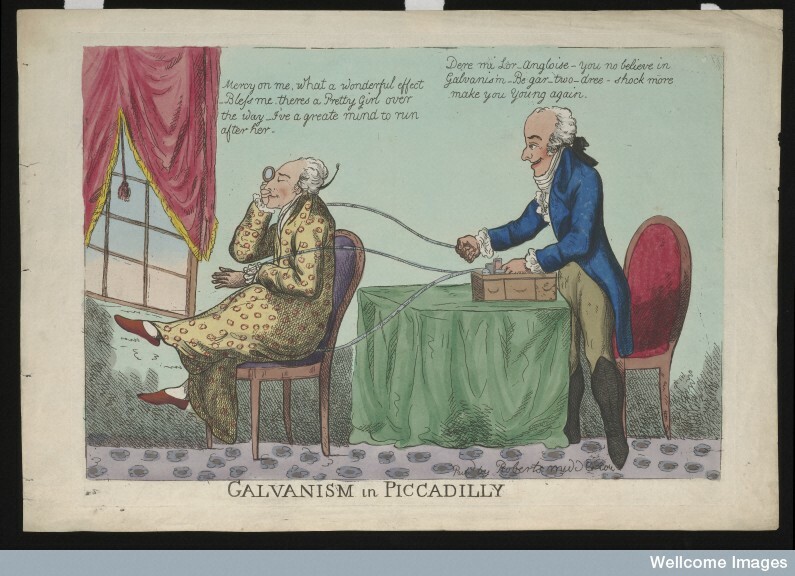 I just learned today that the Wellcome Library had made it’s collection of images available through Creative Commons. The Wellcome Library is funded through the Wellcome Trust. And Wellcome was take over a few years ago to become part of Glaxo Smith Kline. Remember all the controversies about patent protections versus generic drugs? Here’s a link on the topic. http://www.theguardian.com/society/sarah-boseley-global-health/2010/mar/12/hiv-infection-pharmaceuticals-industry So it’s rather ironic that they are offering up the images for us to use. The Library collection might be a good source of material for art that critiques Big Pharma, as I did in Benign Sells, Malignant Sells. Size: platemark 25.6 x 34.9 cm. Here’s another favourite. I can’t wait to discover more! 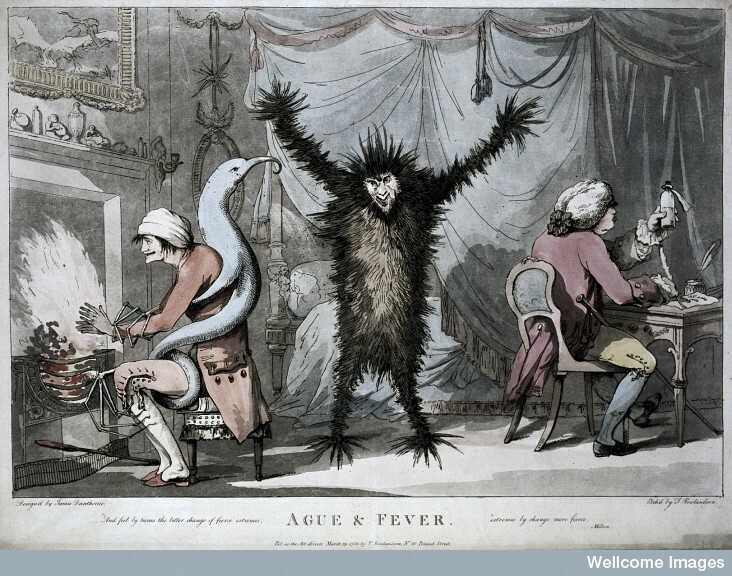 Fever, represented as a frenzied beast, stands racked in the centre of a room, while a blue monster, representing ague, ensnares his victim by the fireside; a doctor writes prescriptions to the right. Coloured etching by T. Rowlandson after J. Dunthorne, 1788. Size: platemark 41.6 x 56.1 cm. I like the Oxygen – they bring in a wide variety of contemporary artists into the community. The previous show was High Muck A Mucks, curated by Nicola Harwood. Here’s a review I wrote about it for Galleries West Magazine. 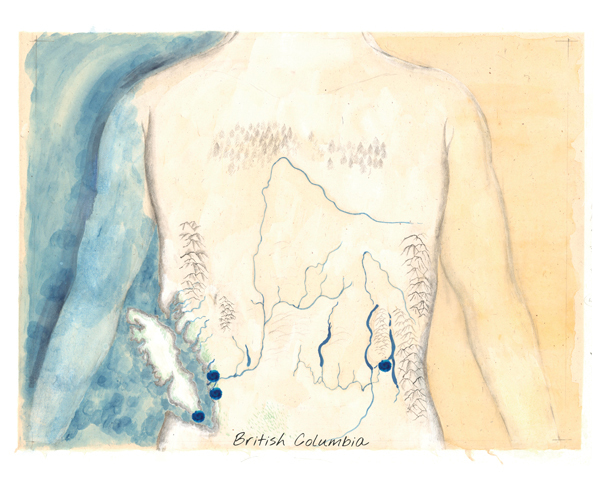 Tomoyo Ihaya, “Website Interface: British Columbia,” digitized watercolour and guache, size variable. With this blog, I hope to post information about my artwork and art-based projects, along with commentary and other items of interest. I hope you enjoy this blog and will leave comments and feedback.